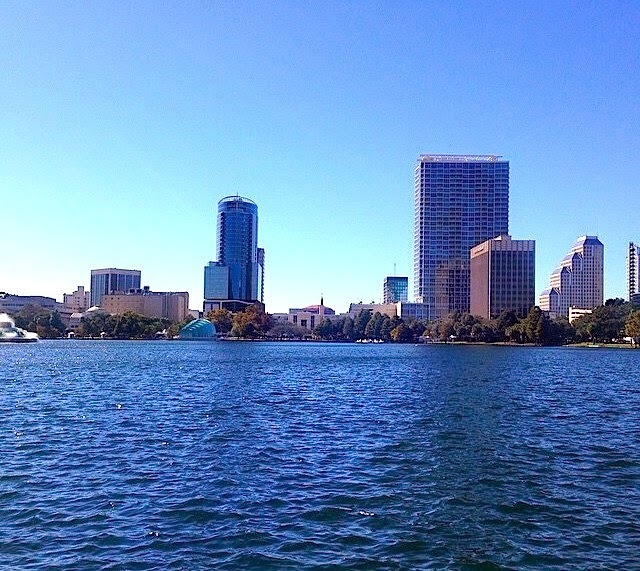 Samantha Angell: Travel & Lifestyle Blog: Orlando, Florida: "The City Beautiful"
Orlando, Florida: "The City Beautiful"
Today on the blog I will be looking at the city of Orlando, Florida, nicknamed "The City Beautiful" or The Theme Park Capital of the World. When I was younger, my family made it a point to have near-yearly family vacations to Orlando for some much needed time in the sun, at the beach, and of course, all of the wonderful theme parks. You can imagine my surprise when I found out that Nick has never been to Disney World- with that in mind, Orlando is certainly one of our upcoming travel destinations! Orlando is yet another city that can offer something for everyone. If you will be spending a significant amount of time in Orlando, I would recommend taking a day trip and heading to Cocoa Beach - home of Ron Jon Surf Shop - for a beautiful day relaxing along the Atlantic Coast. For something relaxing right in the city, head to Lake Eola and check out the farmers market, open every Sunday from 10 AM- 4 PM. More than just your average farmers market, this one boasts food, shopping and fun for people of all ages. My favorite part? The Lake Eola farmers market is dog-friendly and features a variety of shops catered to your favorite pooch's needs! For the men, a day at the golf course is certainly a necessity: with well over 170 golf courses, there is a course for every skill level. Ladies, while the guys hit the course- I know I will be either enjoying a day at the spa or wine-tasting at one of the many wine bars located near Lake Eola. 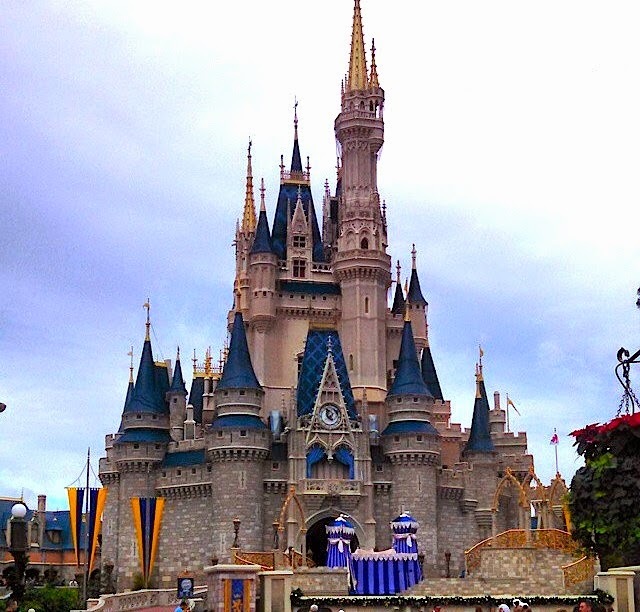 Now, the theme parks in Orlando are certainly one of the things it is best known for. Over 51 million visitors head to the theme park every year, with an estimated 3.6 of those being international guests. Major theme parks include Walt Disney World Resorts, Universal Orlando, Sea World, and Busch Gardens Tampa. Walt Disney World alone boasts four different theme parks, two water parks, and covers 43 square miles (or 111 square kilometers). Once you've been sold on your next vacation to Orlando, the next item on the agenda is planning how to get there. Orlando has two international airports, Orlando Sanford Airport and Orlando International Airport. Orlando Sanford is a primary landing point for European leisure travel. As a smaller airport than Orlando International Airport, Sanford can cater more to your individual needs and get you out of the terminal and on to your next destination quickly. Once you have landed safely and arrived in Orlando, it is time to sit back, relax, and enjoy your fun in the sun! We are a total Disney family. We go to Disney every year, but we always stay in Disney. I am going to Universal in March, though, and I am super excited because I haven't been there in about 10 years. That will be so much fun to check out Universal instead! My family has gone to both, but I haven't been in years. I love Disney and we are planning on going down there, so these are great things to know about. Hopefully it gives you some good ideas for your trip! I love Orlando! We were married in WDW so it's a very special place for us. I hit publish by accident! I meant to say that it's such a friendly place too, we visited Celebration too and the people were so sweet! Sara, that is so cool you were married in Disney! I can imagine how that definitely makes it a special place. Orlando is so fun! We've been there several times and have enjoyed it every time. Penny, Orlando is definitely a city with something for everyone! My little family will definitely be visiting Orlando in the coming years. We want to take our boy to the theme parks but want him to be a little bit older to enjoy the experience of it all. Fiona, I think that is a good idea- not only for the memories for them, but also will likely make the trip easier on you! Miranda, Disney France would be so cool! I think all of the Disney parks would be a fun time. I have only been to Orlando one time and that was to visit family- we didn't get to explore too many of the sights! I would LOVE to go back, especially since it is REALLY cold here in MD. Olivia, you should definitely head to Orlando for a quick weekend- it'd be nice and warm, not too mention fun! I've never been to Disney World. I'd love to go to Orlando with my family, but we did hit Disney Land twice being west coasters. I have spent some time in Boca Raton though. Heather, we are opposite then- I've been to Disney World several times, but never Disney Land! Michele, my family used to always visit in March. Perfect weather- especially considering we were escaping the Minnesota winter! We just had our child in November and I can't wait for him to be old enough to enjoy Disney. I never got the opportunity to visit as a child and I can't wait to go. My nieces get to go all the time and they love it. I can't wait to see my sons face when he gets to wake up Christmas morning and open the suitcase full of disney things. I hope he gets as excited as the nieces did. I know Disney is sometimes more fun or intended for girls. I bet you will just love taking your kids there! It will certainly be an experience they won't forget. I went to college in Orlando so I got sick of it FAST! ;) I do love returning for Disney though. I have great memories in that town. Krystal, Disney is always a fun time. I can't wait to take my husband! Orlando Florida is an awesome vacation destination indeed. I have been there about 4 times in my life and may be going again in June. I love Disney World which is great for any age. Thanks for sharing. Rebecca, I bet you will have so much fun! I haven't been to Orlando in years but am really looking forward to taking my husband one day. Orlando, Florida is the one of my favorite destination especially when my kids having their vacation from their school. I love this place looks peaceful and beautiful city. Angela, I bet it is so much fun to take your kids there! florida is such a wonderful, wonderful place I tend to hear my mom praising that place way back years ago until today - I hope I can go there next time too. Aisha, I have loved every trip to Florida. There is always so much to do! How cool! I never knew that the nickname was "city beautiful". I have visited a couple times and it is just so beautiful and you can never do it all in just one trip! I've only been to Orlando briefly to attend an NBA game while visiting Tampa/St.Pete. I am actually hoping to get there for my birthday in a couple of months, so I can fully explore the area. I am actually going to Disney in a couple of weeks. I am so looking forward to it! It helps that I live in Florida so going to Orlando takes me 2 hours maybe. I love the pictures!